(NEW YORK) Why just wear it when you can live it? That's Moschino's feeling, anyway. The brand is opening the luxury hotel Maison Moschino in 2009, located in the old neoclassical railway station at Viale Monte Grappe, 12, in Milan. Rossella Jardini and the Moschino creative team are behind the hotel's design, which will include fairy tale-themed rooms, like a "Petals" bedroom and a "Dream" hall. No longer confined to clothes, designers such as Versace and Armani are now lending their names to upscale hotels and spas. 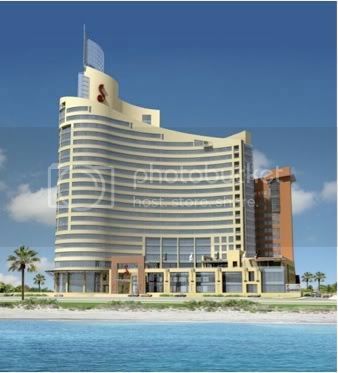 Here's a list of the rest of the haute hotels. Legendary designer Giorgio Armani is getting into hotels in a big way. He already has three under development, in Dubai, Milan, and Marrakech. The first to open likely will be the 160-suite Dubai property, which will be tucked inside the Burj Dubai, slated to be the tallest building in the world when it opens in 2008. 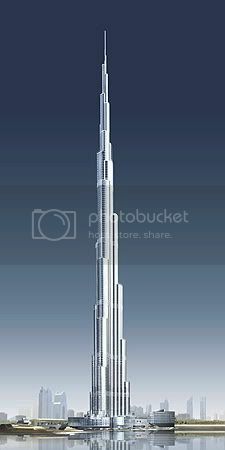 The Burj Dubai also will include 144 luxury apartments designed by Armani. Something like a giant showroom, the hotel will use Armani's entire Casa line of furnishings and interior fittings—all of which will be for sale. Decorated with marble, mosaics, chandeliers, and vaulted, gold ceilings, this five-star palace showcases the opulence and gaudiness Versace is famous for. The hotel includes three award-winning restaurants and a private marina. Versace and its business partners, Sunland Hotels & Resorts and Emirates International Holdings, have announced the development of a second Palazzo Versace Resort in Dubai, to be opened in 2008. It will feature climate-controlled private beaches, a scuba lagoon, spas, boutiques, an indoor cinema and recording studio, labyrinth gardens, and waterfalls. Rooms go for $410 per night and up. Located in one of the most prestigious Milanese neighborhoods—the Brera district, a stone's throw from the famed shopping districts of Via della Spiga and Via Montenapoleone—the Bulgari Hotel is set in the center of a 700-year old, one-acre (4,000-square-meter) private garden next to the city's botanical gardens. Decorated in a contemporary style with muted tones, the hotel's design is meant to invoke the classy feel of Bulgari. A double room costs $832 and up. Bulgari and Marriott International overlooks the Indian Ocean from 150 meters (492 feet) above the sea. The 59-villa complex features a private mile-long beach accessible only through the resort's inclined elevator. Combining Bulgari's understated elegance, classic Italian lines, and high-quality materials with traditional Balinese style, it features a spa located in a traditional hand-carved teakwood Joglo house. Rooms start at about $1,200 per night. The G is located in Galway, the unofficial arts capital of Ireland and birthplace of flamboyant stylist and hatmaker Philip Treacy, who designed the hotel. It fuses styles from Art Deco to Baroque to modern, and has racked up numerous travel awards. 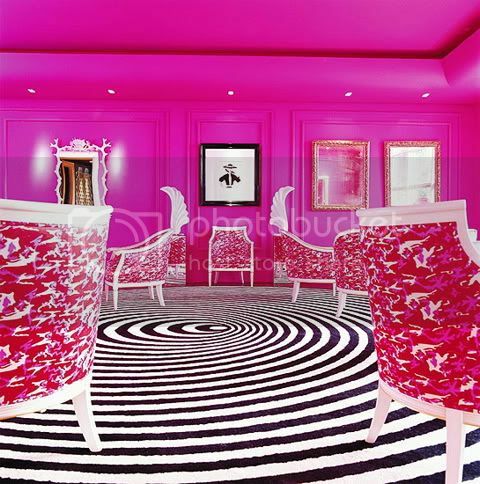 The Pink Salon is the G's signature room: With its Andy Warhol camouflage-print chairs and handwoven black-and-white vortex pattern carpet, it was designed to combine midcentury glamour with a contemporary twist. A double room starts at around $500. Situated in a 15th-century Baroque-style villa in Valpolicella, the famed Italian wine region close to Verona, Villa Amista was renovated by Italian architect Alessandro Mendini. The interior is decorated in the contemporary style of hip Italian fashion house Byblos. 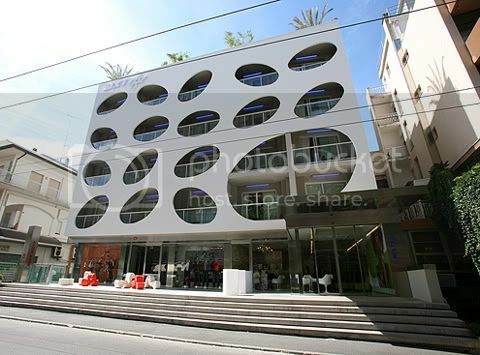 The “Villa” is also a contemporary art center, regularly featuring the works of artists such as Anish Kapoor, Takashi Murakami, and Beatriz Millar. For connoisseurs, it also features a 14th-century wine cellar offering 300 of Italy's best vintages. The irreverent mix of classic and modern styles reflects the Byblos aesthetic. Double rooms start at $1,288 per night. found in different parts in the world,” it says. Milan-based fashion house Missoni, which designs clothing, sportswear, and housewares, is rolling out it first hotels in Kuwait and Edinburgh in 2008. Located in Kuwait's new Symphony Complex, the 200-room Hotel Missoni will feature views of the Persian Gulf and Missoni-branded facilities such as the Mocha café, Lounge bar, and Spa. The 130-room Edinburgh hotel—intended to be one of the city's most prominent new developments in decades—will be located on the famous Royal Mile at Victoria Terrace and George IV Bridge. 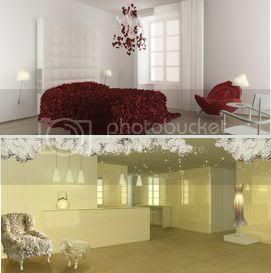 It, too, will feature Missoni Cucina, spa, bar, and lots of jazzy decoration. I find the valuable information is provided by you of traveling.Really Its Great post everyone must see and enjoy the real beauty of Art & creativity...!!!!!!!!! !